I did a lot of singing in the park, and so I used to come down, help out and sing along too. 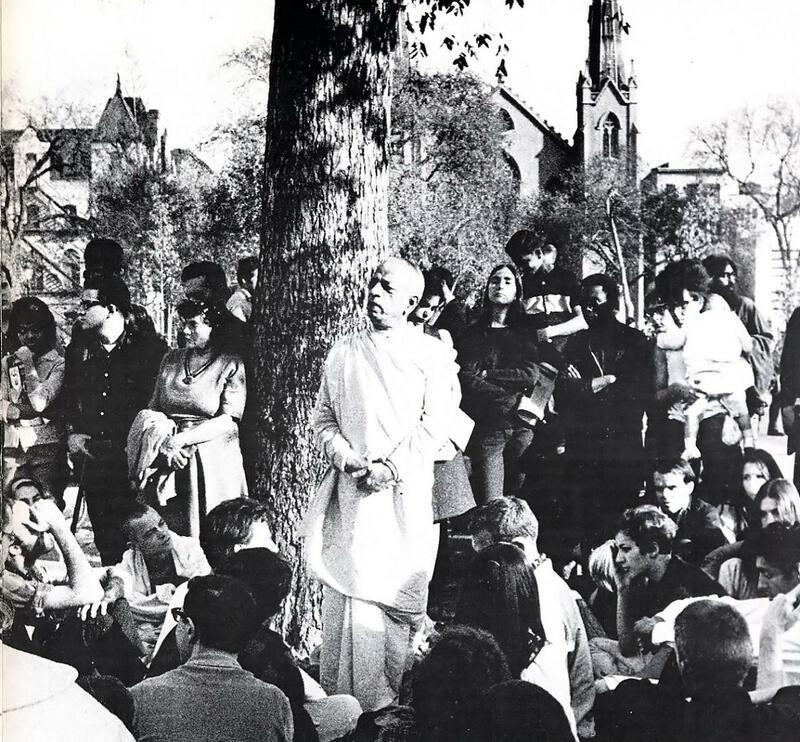 I had been singing Hare Krishna since ’63, and it seemed to me almost as if reinforcements had arrived from India. My idea at the time was that the more swamis the better and the more spiritual teachers the better because America seemed sunk in a morass of aggressive and murderous militarism in those days. That was right in the middle of the Vietnam War, and I’d come home from India via Saigon. So anybody going out on the street particularly and singing in the street seemed to lighten the whole American scene. That seemed like a breakthrough of joy and dancing, human voice, and so it seemed like a marvelous social contribution.